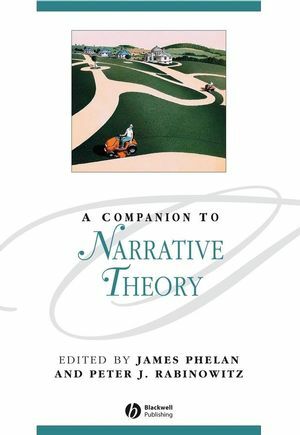 The 35 original essays in A Companion to Narrative Theory constitute the best available introduction to this vital and contested field of humanistic enquiry. James Phelan is Humanities Distinguished Professor of English at Ohio State University. He is the editor of the journal Narrative and the author of several books in narrative theory, the most recent of which are Living to Tell About It: A Rhetoric and Ethics of Character Narration (2005) and Experiencing Fiction: Judgments, Progressions, and the Rhetorical Theory of Narrative (2007). Peter J. Rabinowitz is Professor and Chair of Comparative Literature at Hamilton College. His previous publications include Before Reading (1987) and Authorizing Readers (coauthored with Michael Smith, 1998). He is also a music critic and serves as a contributing editor of Fanfare. "Written by major narrative theorists, these essays are original to this volume and are impressively accessible. The editors include ample notes, suggestions for further reading, and a brief glossary. Highly recommended." The best available introduction to the vital and contested field of narrative theory. Comprises 35 original essays written by leading figures in the field. Includes contributions from pioneers in the field such as Wayne C. Booth, Seymour Chatman, J. Hillis Miller and Gerald Prince. Represents all the major critical approaches to narrative and investigates and debates the relations between them. Considers narratives in different disciplines, such as law and medicine. Features analyses of a variety of media, including film, music, and painting. Designed to be of interest to specialists, yet accessible to readers with little prior knowledge of the field.